Undergraduate advisors guide a small group of students through their freshman year and into the sophomore year, until they declare their majors. 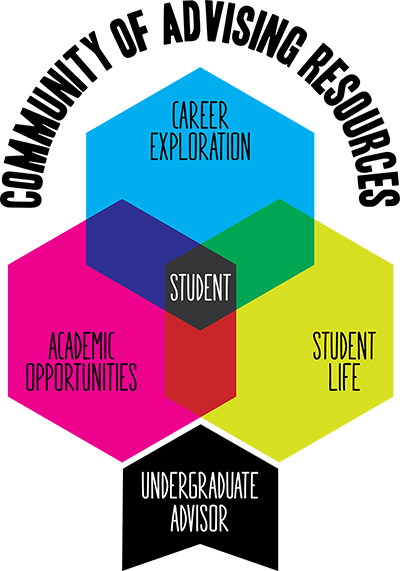 As an undergraduate advisor, your primary goal is to help new students successfully transition into college. You will meet with your first-year and transfer advisees during August orientation and guide them through the online course registration process. For sophomores, you should send a welcome back message at the start of the school year, and plan a check-in meeting during the fall semester to support them as they work on their major declaration. As an undergraduate advisor, you will be part of a community of academic advisors in the College, including College Center for Advising Services (CCAS) advisors and peer advisors. No previous advising experience is needed. All undergraduate advisors participate in one-day training in August and have the opportunity to attend various information sessions and webinars throughout the year. Frequent emails will help keep you up to date on upcoming deadlines and activities. For more information about undergraduate advising contact Marcy Kraus at marcy.kraus@rochester.edu. Undergraduate advisors who wish to combine their groups and meet as an advising team at the first advising group meeting, may do so. Student orientation assistants will be available during your Thursday group advising session and can assist with things like helping students look up a class in the course schedule or comment on their individual experiences. If you would like an orientation assistant, please indicate this on the reply form. Once again, we will reserve classrooms for advisors' use during group advising sessions. We will also make it possible for advisors to meet with advisees in more informal settings, as many of you have requested. Please indicate on the reply form your preferred location for your group meeting and we will do our best to accommodate you. Hajim advisors: Please note that you will receive special information about your advising schedule from the Hajim Deans’ Office. Please let us know of topics that interest you when you submit the reply form. We would like every advisor to attend at least one workshop each year (and more if you are so inclined! ).